Family-owned Doug’s Auto Collision Center has been serving the auto body collision repair needs of eastside car and truck owners since 1972. We’ve built a solid reputation for great customer service and excellent workmanship during our 45 years in business, and we offer a lifetime guarantee on all work performed — a rarity in our industry. Come see for yourself why so many thousands of Seattle area customers have placed their confidence and their valuable vehicles in our care over the years. From minor bumper damage to extensive auto body collision repair, our iCar-certified technicians provide quality collision repair for all vehicle makes and models. We pride ourselves on the thoroughness of our initial inspection process which results in accurate, surprise-free estimates prior to repair. Our auto painting team can expertly match the existing finish on your car to ensure your vehicle looks the same as before your accident. We’ll even repaint the entire vehicle if necessary. Our state-of-the-art color and finish-matching equipment is second to none on the west coast. Have a minor dent or ding you’d like affordably removed? Paintless dent repair may be your answer! Our experienced technicians can quickly examine your vehicle to determine whether this method is right for your repair situation. If so, your paintless dent repair could be completed within minutes! 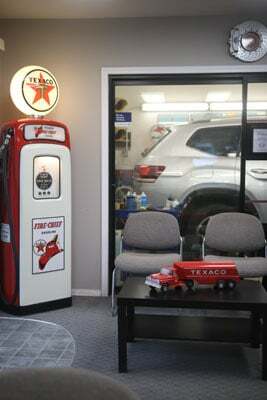 Doug’s Auto Collision Center wants to see you back on the road quickly and affordably. We do everything we can to make it easy for you to return to your normal life. From great craftsmanship to competitive pricing to working with your insurance company and arranging a loaner or a rental car for you, we want to earn your business. Contact us or stop by for a free estimate today! Do Car Dent Pullers Work?